Layering an off-the-shoulder sweater over a silk slip dress is our new favorite fashion obsession. This combination instantly took an everyday piece and elevated it into a ensemble glam enough to wear to any upcoming holiday soirées. This look was made to accessorize with a circle bag, layered gold necklaces, and heeled mules. Raise your hand if cute and casual is your go-to style. We’re right there with you! A lace camisole or bralette is the perfect way to add a little interest to this next off-the-shoulder look. In addition to a classic ladylike bag and distressed jeans, leopard print is a statement worthy of your closet this season. 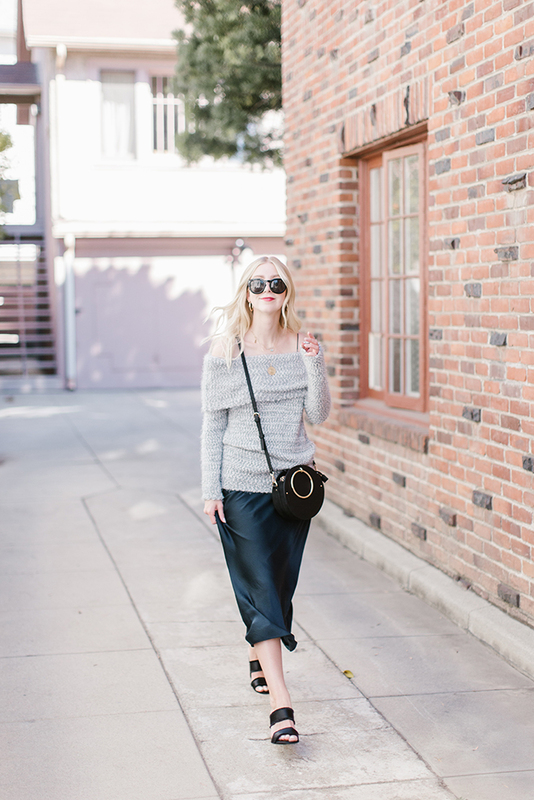 We’re here for this polished yet playful outfit. This wouldn’t be LaurenConrad.com if we didn’t include a blush pink off-the-shoulder sweater! This bell sleeve option looks as sweet as can be with an oversized blanket scarf and a pair of jeans from Lauren’s revamped denim collection. The scarf also makes this peek-a-boo look more practical for colder weather with just a hint of a cold shoulder. 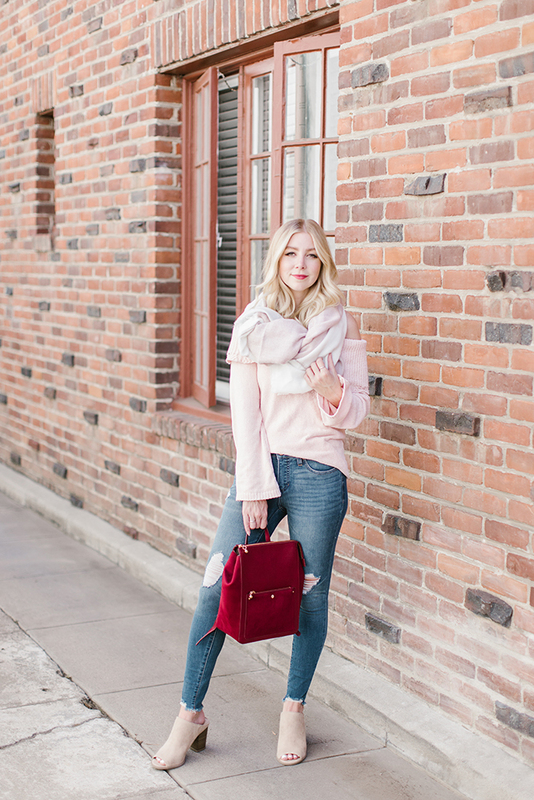 To make this less of an all-pink ensemble, we added a pop of red with this adorable LC Lauren Conrad backpack. It’s safe to say that between these three different looks, we’ll have lots to wear this season. From parties to running errands, these looks are versatile enough to recreate all autumn long.